As soon as I turned on push notifications, email notifications were disabled. This is the first time I've seen this from a product and it makes so much sense. I do feel overwhelmed by a myriad of product notifications from all angles and channels. 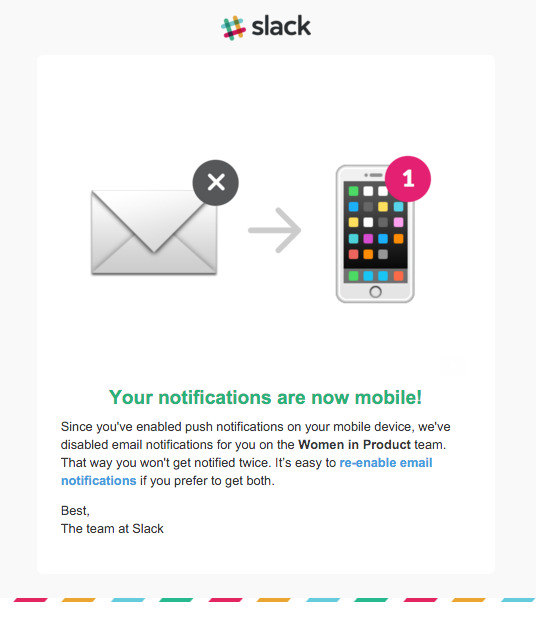 A product like Slack is meant to replace and reduce email. I really appreciated this small touch and I hope other product teams understand the strain of too many notifications on their users.